Click HERE to open a new Window with a super enlargement. 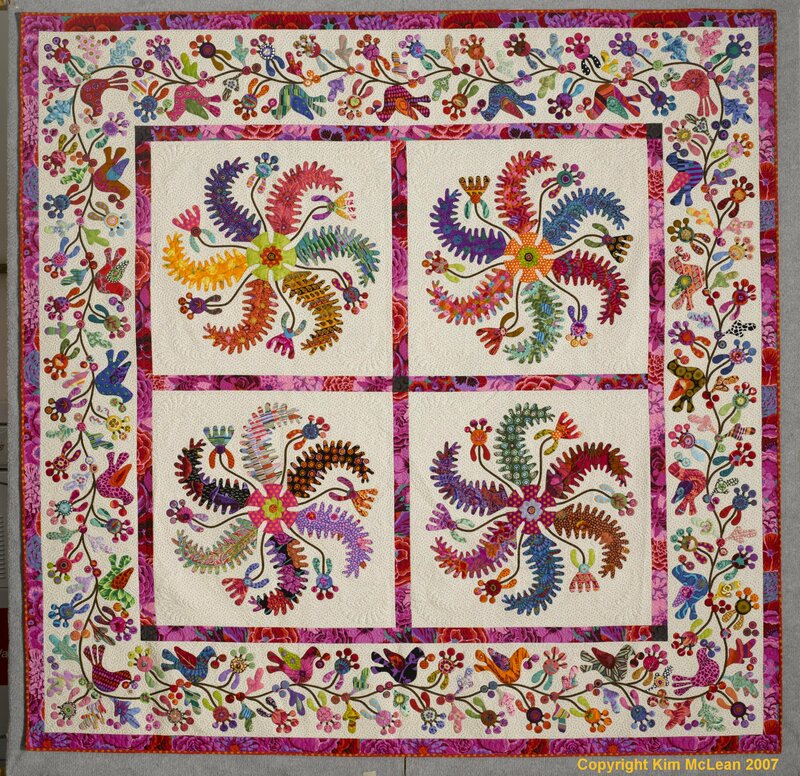 Kim is an award winning quiltmaker from Australia who features imaginative use of Kaffe's fabrics in her quilts. We have been huge fans of her work for sometime. 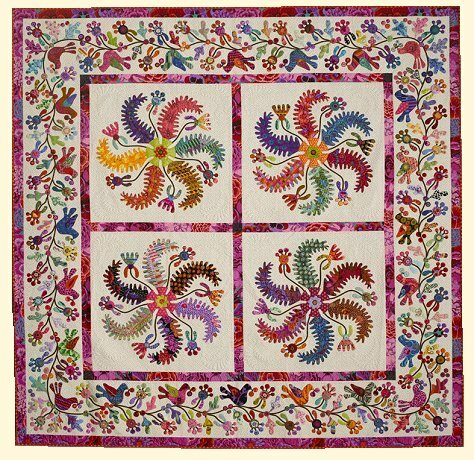 and are so pleased that Glorious Color is able introduce another of Kim's glorious applique patterns, to you.